New Overwatch hero ​Ashe, introduced at Blizzcon as Overwatch Hero 29, entered live servers Tuesday in the latest Overwatch update. ​​Blizzard officially introduced Ashe to live ​Overwatch servers Tuesday with a new Overwatch update for all platforms. Ashe was first introduced as a damage hero at BlizzCon on Nov. 2, but was only added to the Public Test Region a few days later for testing. 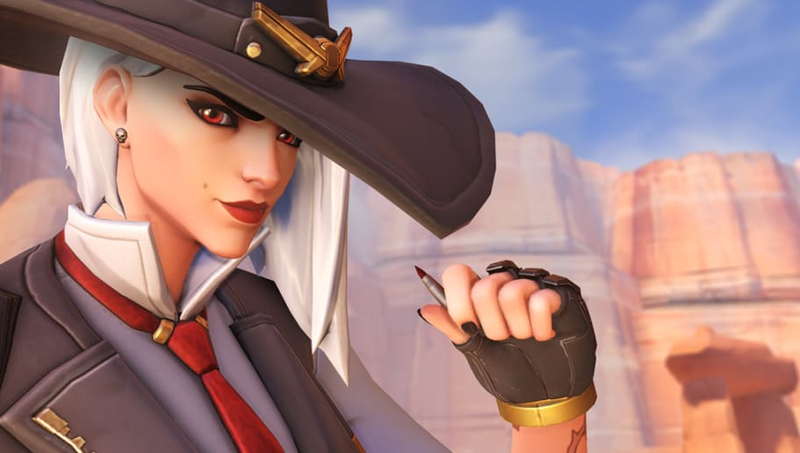 Ashe was seen in the ​"Reunion" animated short, which was centered around McCree. Her kit includes a gun she can use to shoot people and the option to scope for more accurate shots. Ashe's ultimate summons her omnic sidekick, B.O.B., who will act as a seventh player on her team for a limited time. Ashe is playable on all live servers. She will be barred from competitive Season 13 for a couple of weeks, though, as is typically the case with new hero reveals.